A new analysis of impact cratering data from Mars reveals that the planet has undergone a series of global volcanic upheavals. 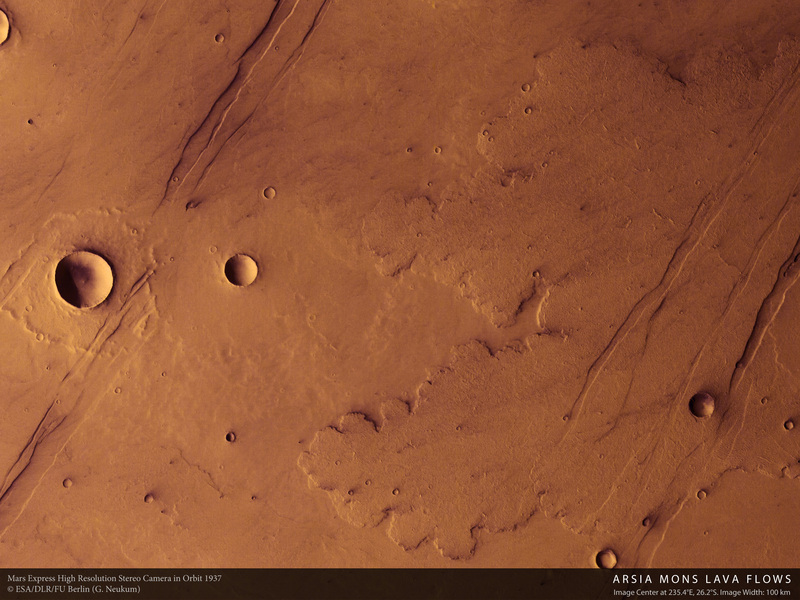 These violent episodes spewed lava and water onto the surface, sculpting the landscape that ESA's Mars Express looks down on today. There has been a debate recently about the validity of this method. Some researchers believe that the small craters are not produced by incoming meteorites but by chunks of Martian rock blasted over the surface after a single large impact. However American researchers, analysing seven years worth of images from the Mars Orbiter Camera (MOC) on NASA’s Mars Global Surveyor, have found new craters appearing on the surface during that time. As for why Mars behaves like this, geophysical computer-based models suggest that the planet has been trying to establish a system of plate tectonics, as there is on Earth where the crust is broken into slowly moving plates. 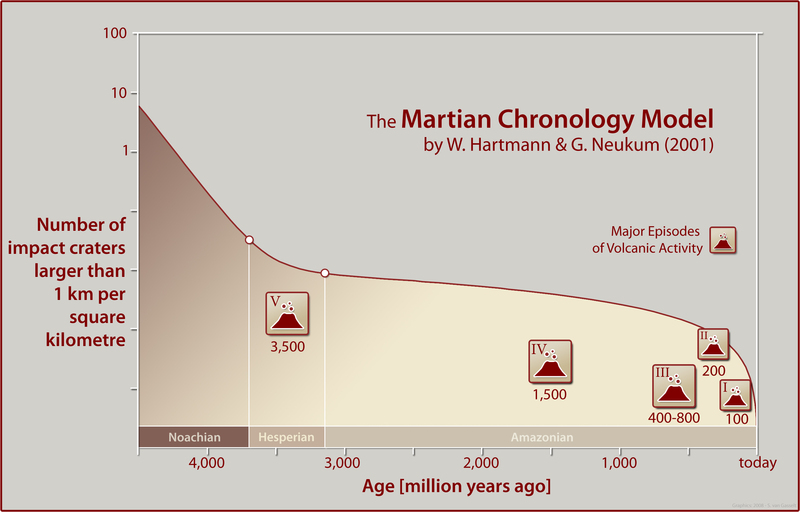 On Mars, the volcanic episodes represent the planet almost achieving, but not actually attaining, plate tectonics - and these volcanic episodes might not be over. This article is based on results being presented today at the Lunar and Planetary Science Conference at League City, Texas, USA.